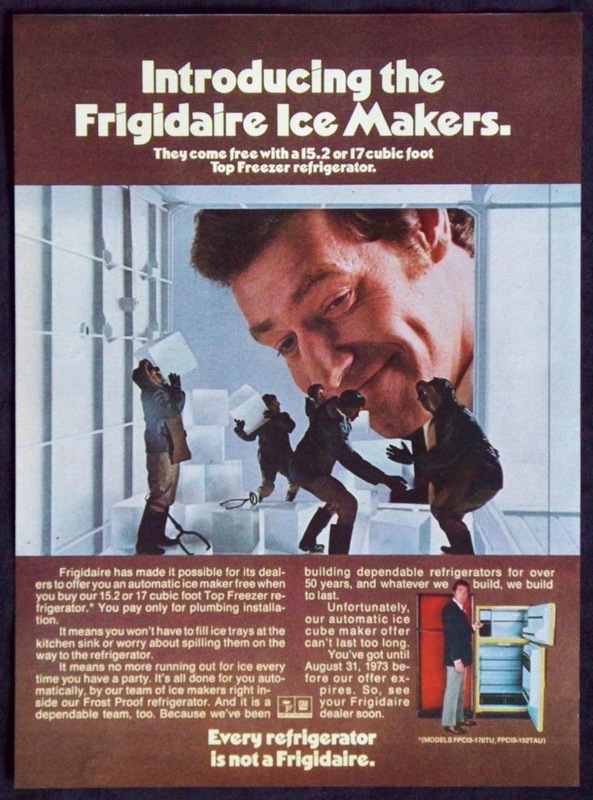 Actually, Frigidaire, I don't need an introduction to your ice makers, as I am well acquainted with Old Man Winter's expertise in this department. It looks like the parka-clad fellows who do inhabit this freezer would be up to the brutal conditions we in the Northeast are facing now; windchills in the -30F° neighborhood have kept man and beast indoors. Certainly we are not frost-free, as is this 1973 fridge—yet another snow is predicted for tomorrow. About the only ice I would welcome on this cold evening is a cube or two in a fortifying scotch.